Create the most talked about summer party! Five fun chalkboard projects add personalized charm to your event. 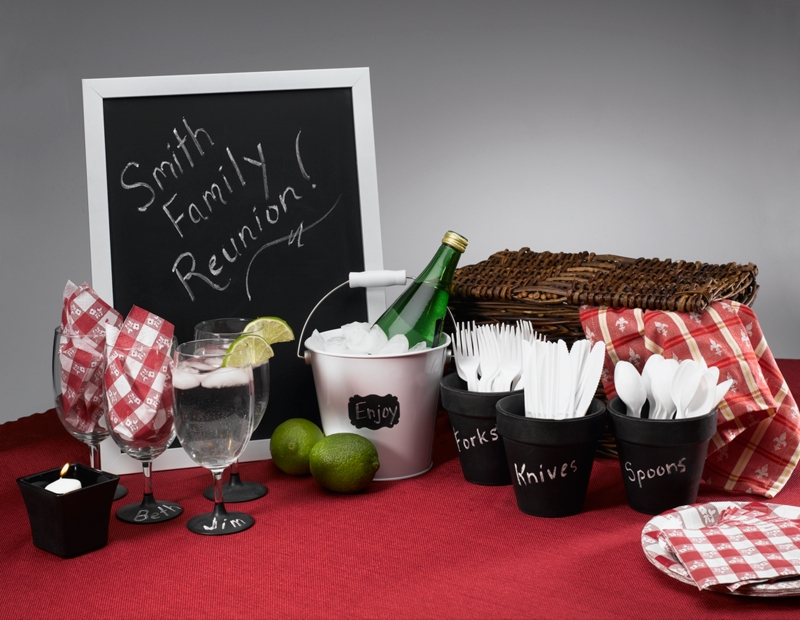 Summertime Entertaining with Chalkboard was designed by Roxi Phillips. Repeat until you have complete coverage, allowing paint to dry in between coats. Light coats of paint work best. Be sure to ‘prime’ the chalkboard surface when paint is dry. Do this by rubbing a piece of chalk all over the surface and then removing chalk with a soft cloth.